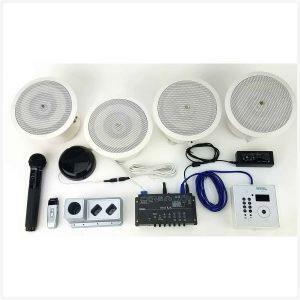 The VoiceLink III system is a two-channel infrared wireless microphone system that can be an addition to any existing sound system whether in a classroom, conference room, banquet room, or district courtroom. 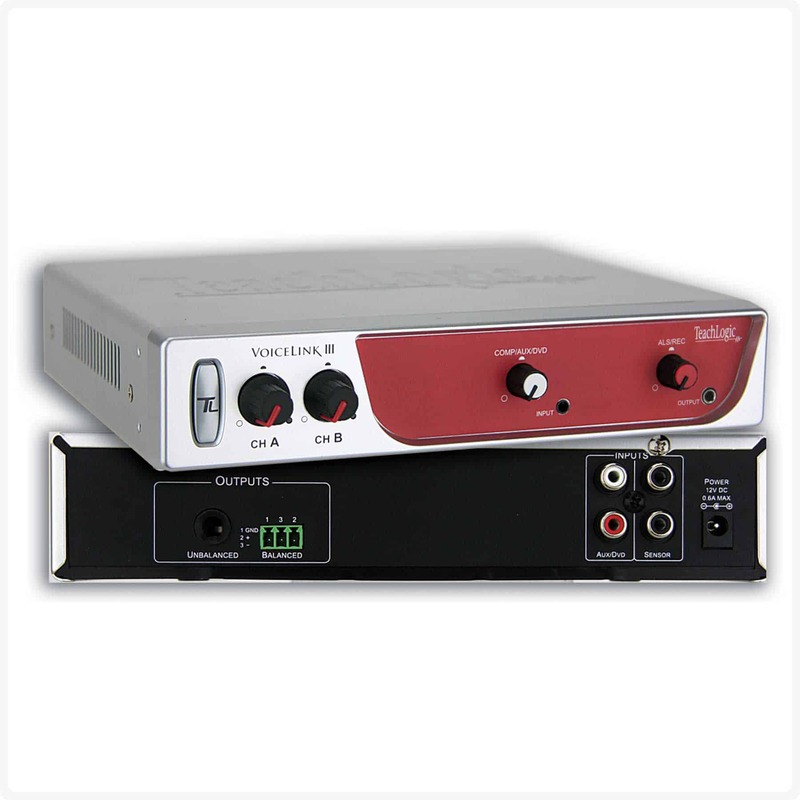 The VoiceLink III system is a two-channel infrared wireless microphone system that can be an addition to any existing sound system whether in a classroom, conference room, banquet room, or district courtroom. The VoiceLink III features a two-channel infrared wireless microphone receiver for the simultaneous use of two wireless microphones: no messy cables and you have total freedom of movement throughout the room. 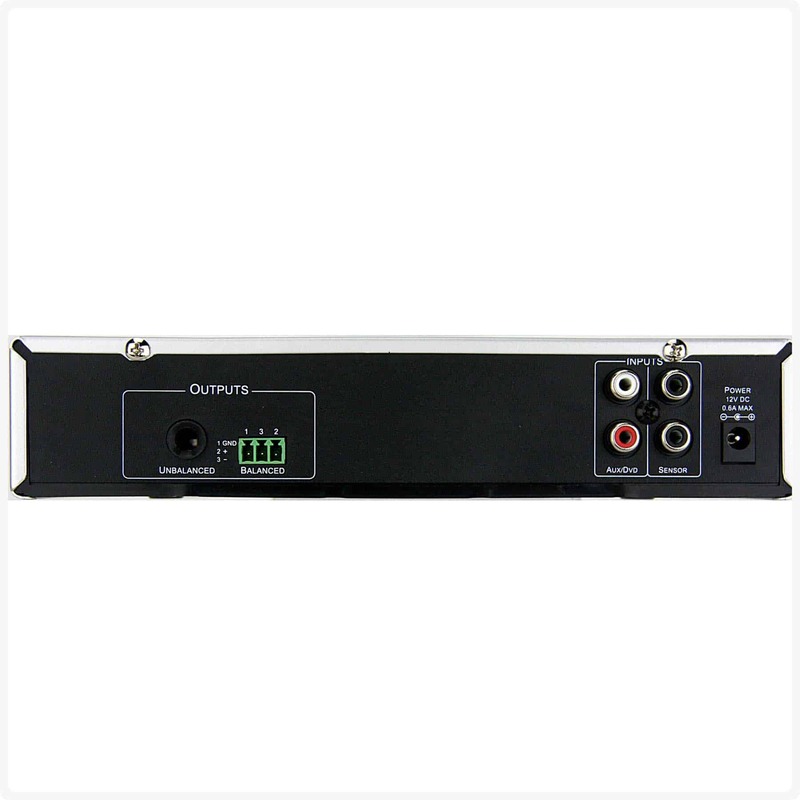 An Aux/Comp input and front panel output for Lesson Capture. 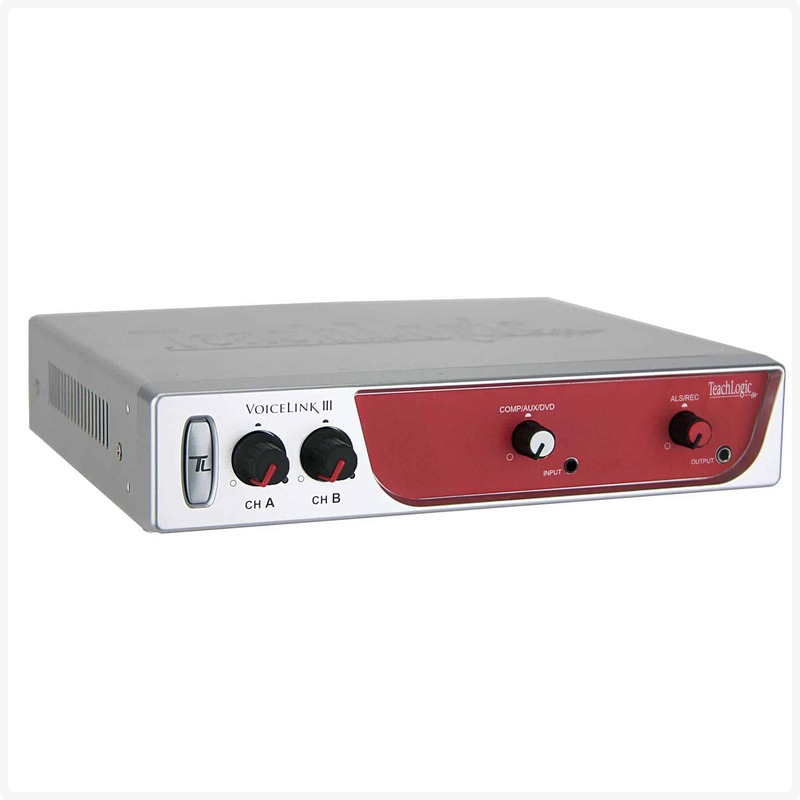 The line level output, balanced (phoenix 3-pin) or unbalanced (1/4″ phone), is connected to an existing sound system. Excellent vocal quality and reliable connectivity in excess of 30-foot radius to a central ceiling sensor. Interference-free transmission with 100% program material security (infrared will not transmit through walls).